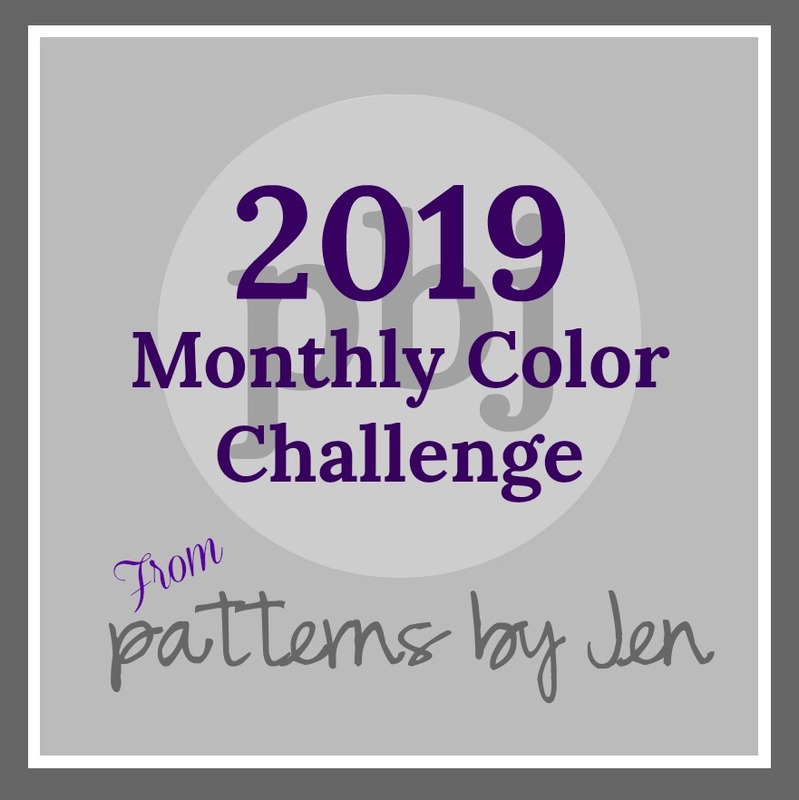 Color Play Friday is a weekly challenge hosted by Trina from In an Otter Life and Lorinda from Laurel, Poppy and Pine. Every week they offer up one of their photographs and then all the participants create a color palette and fabric bundle based off the photo. This week's photo is near and dear to my heart. It's some sort of wild chocolate chip cookie and s'more concoction! Plus, rumor has it that it's calorie free!!! Lately I've had a serious love affair with chocolate. And I do mean S.E.R.I.O.U.S! Melt in your mouth, luxurious, soothing chocolate. I can taste it now. Unfortunately I had to break into my emergency stash of chocolate last night which means I need to go to store for more. I do have some control though. I only eat three pieces a day, whether it's three kisses or three pips of a chocolate bar. 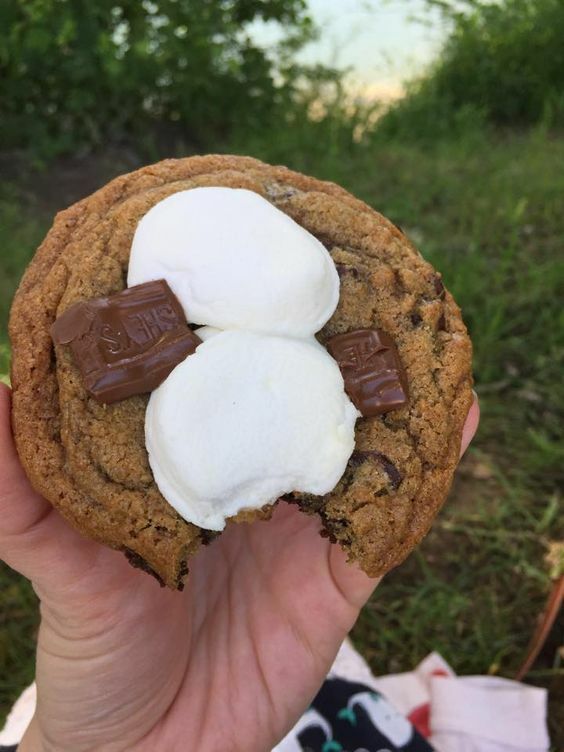 That cookie though, that would blow through all three of my daily chocolate allowances... but it would be so worth it! Here is the color palette/fabric bundle I came up with this week. I love how earthy this bundle turned out. I know I say this every week but I think this might be my favorite CPF bundle so far. Lol! I "shopped" at Hawthorne Threads again this week. 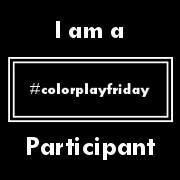 Be sure to check out the other Color Play Friday participants this week. As always, if you are interested in playing along please check out the hosts' pages for more info. You can click either of the CPF buttons on my sidebar. See my past CPF entries by clicking the Color Play Friday page tab at the top of my blog. I am head over heels in love with your bundle this week. I actually gasped when I saw it- GREAT WORK! Nice colour palette Trina, you have a good eye. I particularly like the solids. Lovely, when you start off with woodgrain, you cant' go wrong! 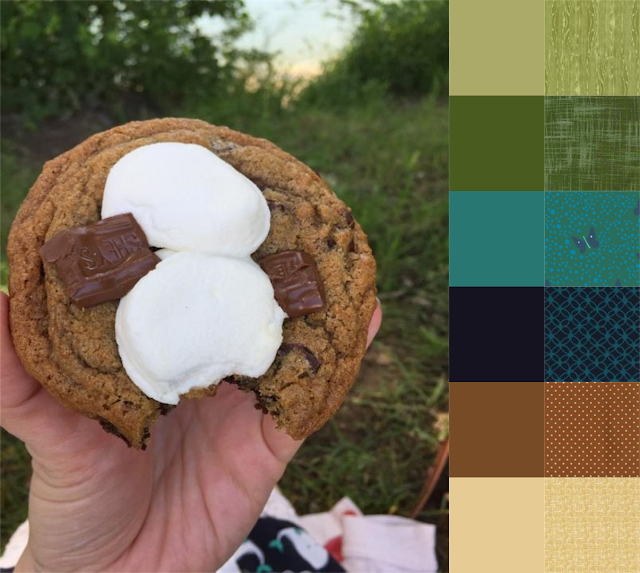 I'm not sure which I want more - the fabric choice or the cookie! I really, really love your bundle this week, too. I like how earthy it is without being obvious and still being colorful. I nearly chose that same woodgrain fabric is a different colorway for my bundle. I agree with you on the love (LOVE) for chocolate - and I think this week's CPF is also my favorite. I love how those blues just pop out. I just starting smiling when I saw them. 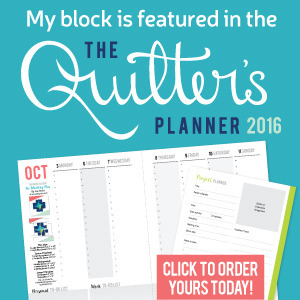 The fabric is perfect, your bundle is really fun. Coming Soon! Opposites Attract Blog Hop!